The socio-political temperature of the country seems to soar high as the controversy around Sanjay Leela Bhansali’s magnum opus Padmavati thickens. On 30 November, Bhansali along with the officials from the Central Board of Film Certification (CBFC) and the Information and Broadcasting (I&B) ministry were called by the parliamentary standing committee on information technology during a meeting set up to resolve the ongoing issue around the film. 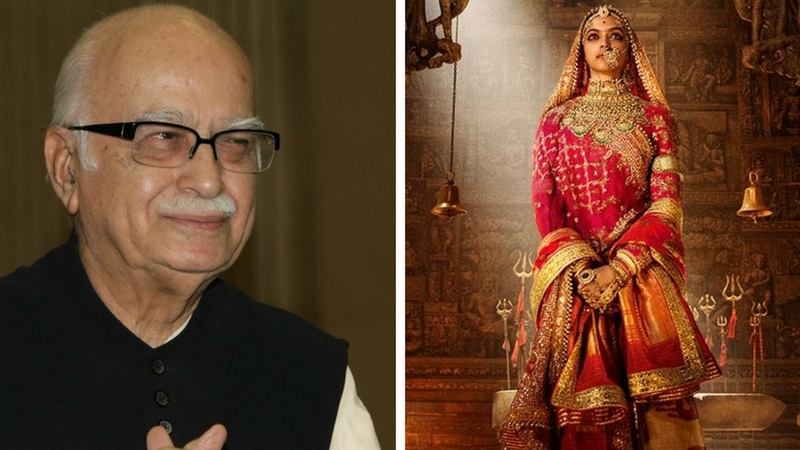 One of the panelists happened to be senior BJP leader LK Advani who was reportedly one of the few voices within the panel to come out in support of Bhansali while he was being grilled the other panelists. The 30-member panel comprised actor-turned-MPs like Hema Malini (BJP), Raj Babbar (Congress) and Paresh Rawal (BJP). They are reportedly taking into consideration all the opinions coming from various parties and will then state its opinion on a release for Bhansali’s film, along with other films which fall under a similar category (historical genre). The standing committee took a close look of the long-pertaining issue around Padmavati as part of its study — Film Industry: Problems and challenges, as reported by The Indian Express. A major contention around the film, especially by the CBFC and few parliamentarians, was that it was screened to a select audience before it even got certified. Bhansali explained that it was just shown to eight persons including two media personalities and his close friends; however he has now assured that the film will not be screened elsewhere until it is certified by the censor board, reports The Hindu. CBFC chief Prasoon Joshi also informed the panel that an expert panel has been set up to scrutinise the film’s content before it is given a certification. He also said that this process might take some time. Padmavati is based on the life and time of the 13th century Rajput queen Padmini of Chittorgarh who chose self immolation over falling prey to the evil clutches of the foreign invader and ruler of the Delhi Sultanate, Alauddin Khilji. Bhansali has agreed on numerous occasions that his film is a work of fiction and is based on the epic poem, Padmavat, written by Sufi poet Malik Muhammad Jayasi in 1540. The film stars Deepika Padukone, Ranveer Singh and Shahid Kapoor in lead roles.